Frozen shoulder rehabilitation and Adhesive Capsulitis physiotherapy treatment in London at home or at the practice in Moorgate EC2, Clapham SW4 or Belgravia Westminster SW1 with our orthopaedic physiotherapist. 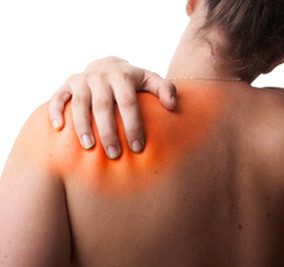 If you’ve been diagnosed with frozen shoulder or adhesive capsulite the most effective and long-term treatment is physiotherapy and rehabilitation. Our specialised physiotherapist with years of experience in the treatment of shoulder conditions and shoulder pain in some of the best centres in France and private practices, will be able to offer you the most appropriate treatment suited to you and your needs. London Home Visit Physiotherapy can provide frozen shoulder rehabilitation and shoulder pain treatment at home in London or at one of our physiotherapy practices. You can visit us at our different locations: at the Light Centre Belgravia Westminster SW1 near Victoria Station, Light Centre Moorgate EC2 near Monument station and Liverpool Street, or in Clapham SW4 near Clapham South station and Clapham common. Physiotherapy and rehabilitation is essential to help increase the range of motion in your shoulder as due to the nature of this disorder, it can take months to get better. Physiotherapy and rehabilitation will vary depending on the stage of the condition and the severity of the pain in your shoulder. Initially our London physiotherapist will advise you on what movements should be avoided for pain management and recommend gentle exercises and stretching because it is very important to keep your shoulder joint mobile. As rehabilitation progresses a number of other techniques like manual therapy (massage), stronger stretching and thermotherapy (warm and cold temperature packs) may be incorporated into your treatment. Over time by following the tailored regimen set by our physiotherapist in London you will be able to resume your usual level of activity. Frozen shoulder is a common, painful and disabling disorder causing stiffness and loss of normal range of motion of the shoulder. If left untreated the symptoms tend to get worse over time and may affect your ability to do everyday activities. Although a lot is still not known about the aetiology of frozen shoulder, it may occur after surgery, injury or overuse of the shoulder or from a disease like diabetes or stroke.